Evan Kaplan was with his 9-year-old daughter, who was having trouble with anxiety, when she told her therapist her father wouldn’t let her switch to a new school because of his mental illness. Kaplan was shocked. Even though he had been hospitalized many times for bipolar disorder, he didn’t realize Charlotte knew he had a mental illness. “It sort of opened my eyes to the fact that I needed to start talking to her about it,” Kaplan said. 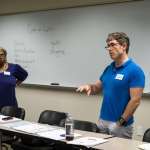 Charlotte’s remark three years ago not only brought father and daughter closer, it set Kaplan on a path that now has him leading a class each Tuesday night in Center City on parenting with a mental illness. The class, which runs for several weeks, includes information on how to talk to your child about your diagnosis. 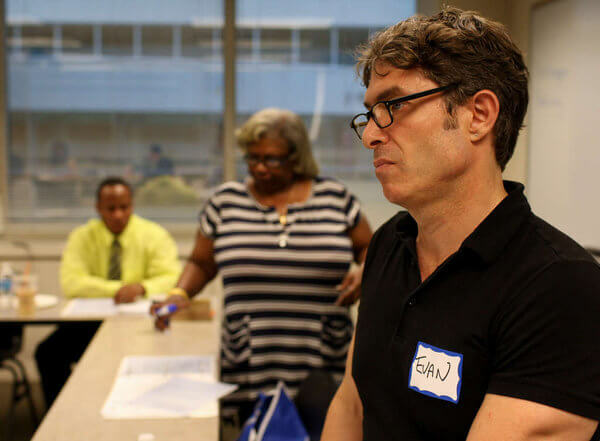 The organization Kaplan co-founded and now runs, Child and Family Connections, is also working with the Einstein Healthcare Network to offer a multi-week workshop in the fall for parents and children together. That workshop grew from Charlotte’s later comment that she wished she could talk to other kids whose parents have mental illnesses. Counselors for people with serious mental illnesses often focus on more pressing concerns, like finding a medication that works, preventing hospitalizations, or keeping a job. Yet, Kaplan and other experts argue, helping people with mental illnesses be better parents can speed their recovery and help their children better understand their behavior and, ultimately, be emotionally healthier as they grow up. 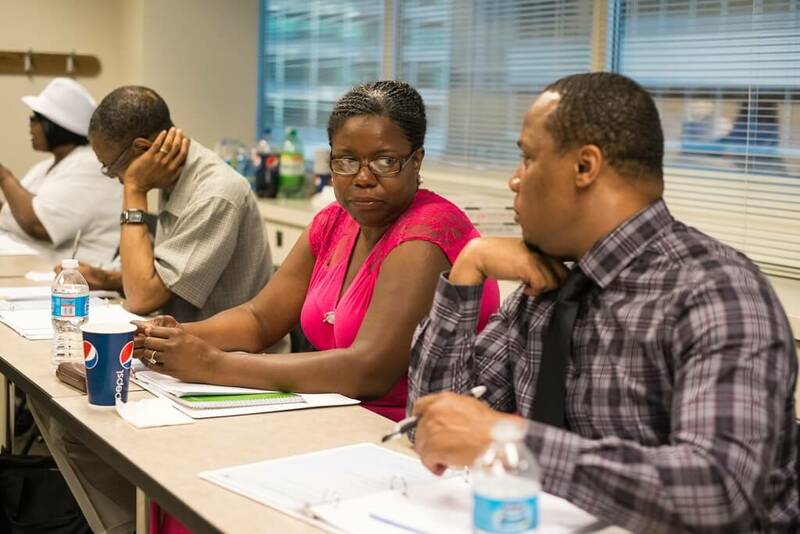 He leads the class with Melodie Jackson, a peer counselor who counts herself in recovery from depression and addiction. Temple University’s Collaborative on Community Inclusion, which is also testing an Internet-based program, is a cosponsor. The Mental Health Association of Southeastern Pennsylvania also has run parenting classes for 12 years. Its classes tend to focus on basic parenting skills, whereas Kaplan’s aim is to improve communication within the family and bolster children’s resilience. “In an ideal world, folks would be going to both,” said Lisa Snitzer, director of the association’s division of family and youth. Across the nation, there’s growing recognition of the need, but such instruction is still rare, experts said. Though there are no good statistics on the subject, large numbers of people with the most serious mental illnesses – schizophrenia, bipolar disorder, and major depression – have children. Like any other parents, their relationships with their children can generate emotional challenges and rewards. The Child and Family Connections class was developed by Kaplan and Loran Kundra, another parent with bipolar disorder. This is the second time it has been offered, and it will run again in the fall. Topics include factors that help build resilience in children, such as a strong support system. Parents talk about creating a back-up plan for their children when they need to go into the hospital, and each writes a letter to a child explaining the mental illness. In his own three-page letter to Charlotte last year, Kaplan explained his illness and told his daughter that it was not her fault and that he loved her. He told her it was all right for her to have fun even when he was feeling bad and that she should always feel free to ask questions. This summer’s class hasn’t gotten to that assignment yet. 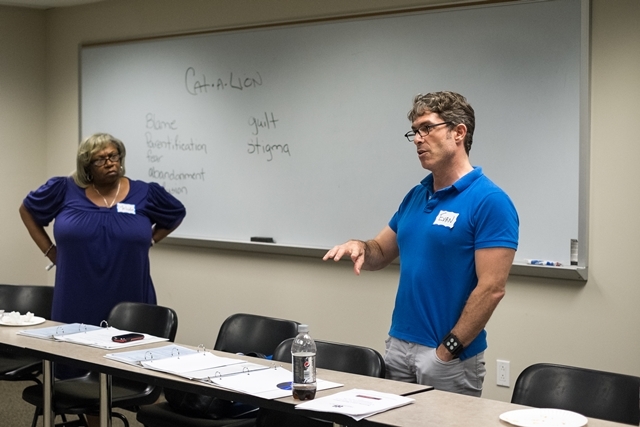 At a recent session, eight people who struggle with bipolar disorder, depression, and addiction talked about coping mechanisms and support systems. They were a remarkably supportive group, listening to one another in an intense, undistracted way that’s rare these days. Olen Foreman, 40, of Camden, said his relationship with one of his five daughters was already improving. “It’s a complete turnaround,” he told the group. 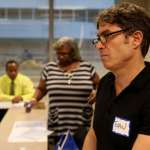 Later, Foreman, who has major depression and is a recovering alcoholic, said the class helped him better understand his mother, who has schizophrenia, and to see things from his daughters’ point of view. He realizes his issues may have left his children feeling shortchanged. “Sometimes in saving ourselves, the child gets left behind,” he said. He hopes the class will bring them all closer. Jackson, Kaplan’s co-leader, said the stigma of mental illness makes a lot of people afraid to talk to their children. “They’re so much more comfortable once they realize it’s OK,” she said. The talk is valuable no matter how old the children are. “If they were walking on eggshells at 7, 8, or 9, they could still be walking on eggshells at 21, 22,” she said. Bobbie Tabb-King, a class member from Philadelphia who has been in addiction recovery for 20 years but who still struggles with depression, has children and stepchildren ages 20 to 31. It’s her young grandchildren she thinks about in class. She routinely cares for two of them. “Sometimes with my depression, it’ll shut me down, and I have to learn how to be able to communicate what’s going on with me effectively for my kids as well as for my grandchildren,” she said. 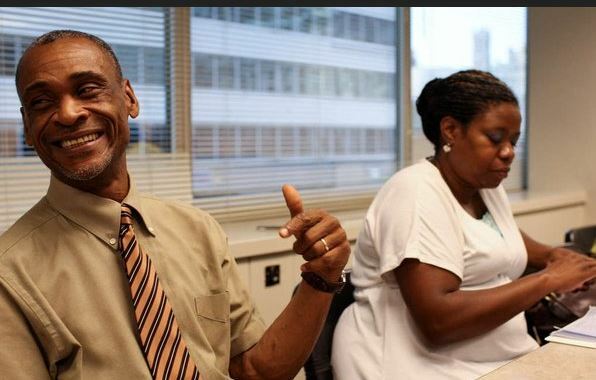 Anthony Buckson, 55, has two children at home in Philadelphia. He has depression, and said he had attempted suicide twice. Being more open with his family has strengthened the bond with his 13-year-old, who has attention deficit disorder and who was recently told he has an autism spectrum disorder. Their problems are different, Buckson said, but they can help each other. “It’s like we’re a team,” he said. He loves how much he’s learning in the classes. “I just can’t wait till Tuesdays to get there,” he said.